For me, at least, there's also nostalgia for Christmases past. This year that was exacerbated by the fact that we watched some home videos featuring my now deceased grandparents. Their faces and voices felt so familiar and yet its been ten years since we celebrated Christmas with both of them. 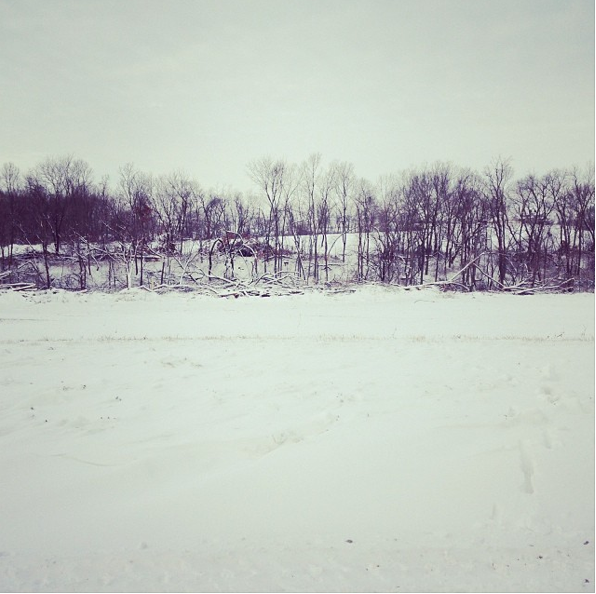 I think I also felt wistful about the fact that every year I'm moving farther and farther away from my childhood Christmases and closer to adult Christmases (hopefully someday with kids of my own). Time is kind of a crazy thing, right? Check out this video. You could use any kind of bubbly wine that you like, but prosecco is my personal favorite. 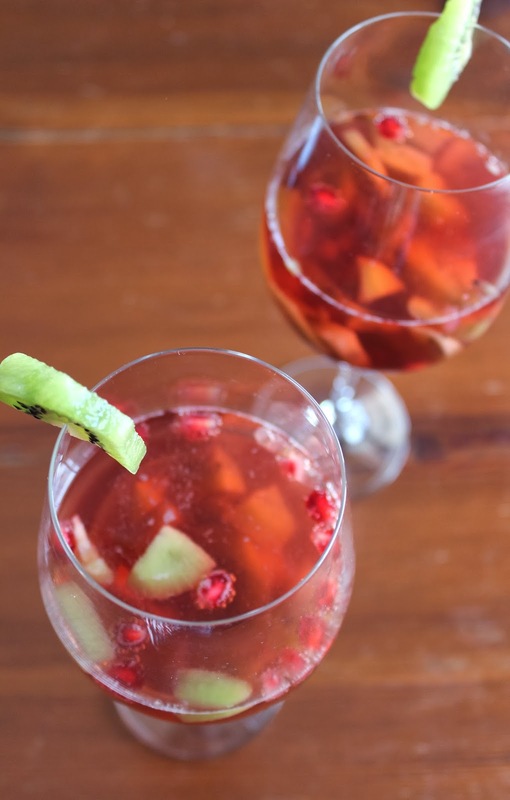 The pomegranate juice is sweet, but not too sweet, and the vodka infused kiwis pack just the right amount of oomph. 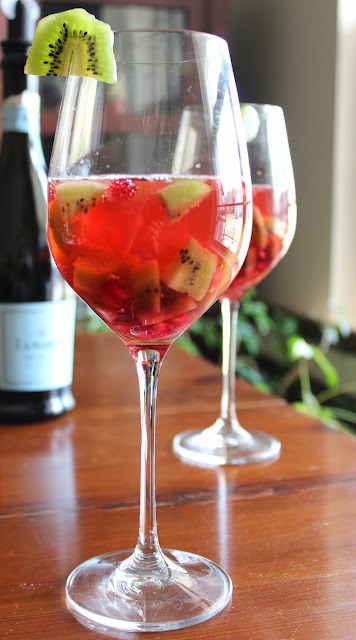 You'll need a spoon at the end to get at all that boozy fruit. Wishing you a lovely New Year's, friends! 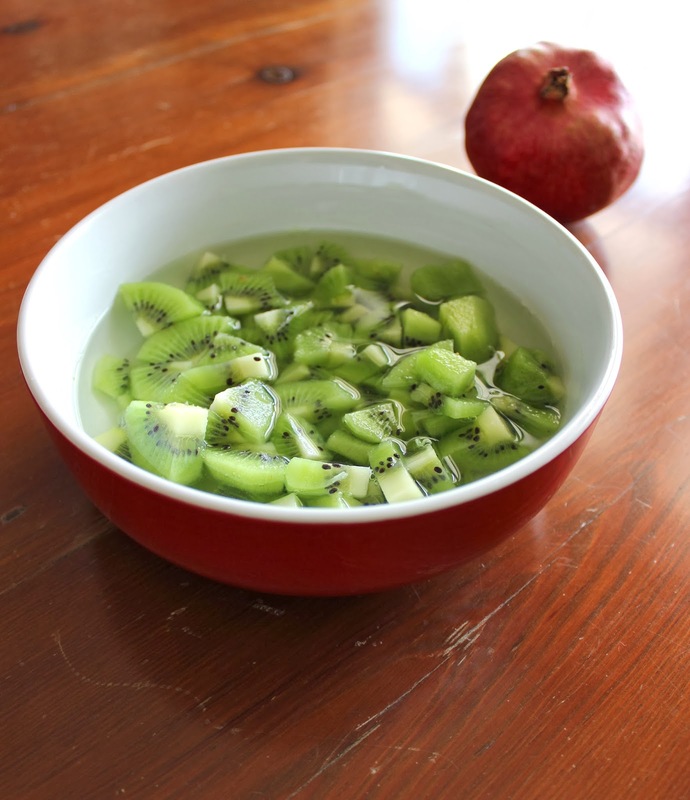 Place sliced kiwi in jar or bowl. Pour vodka over kiwi and refrigerate for anywhere from 1 to 24 hours. To assemble drinks, combine kiwi/vodka mixture, pomegranate seeds, and pomegranate juice in a large pitcher. Pour desired amount into 5-6 glasses. 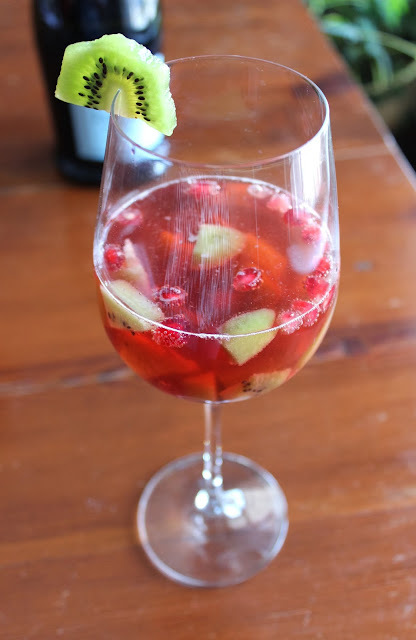 Top with prosecco and enjoy! Love this idea! We always just do the peach! What a super dish is this.I love it happy for giving this blog.I am very happy to see this and thanks a lot for sharing.I think its a new dish and having better taste also.Anyway I loved it and want to make it now.I am sure I will make this and study its preparing method also.Are you search on web for essay writing help.I am searched on it and I get lots of good information and better details for making my essay better from the services available on web.You can also refer it through web.It will help you ,I am sure.